And in a move that signals where Microsoft is heading on the “servicability” front, those who install the tech preview will need to agree to have subsequent monthly updates to it pushed to them automatically, sources added. Threshold is the next major version of Windows that is expected to be christened “Windows 9” when it is made available in the spring of 2015. Threshold is expected to include a number of new features that are aimed at continuing to improve Windows’ usability on non-touch devices and by those using mice and keyboards alongside touch. Among those features — according to previous leaks — are a new “mini” Start Menu; windowed Metro-Style applications that can run on the Desktop; virtual desktops; and the elimination of the Charms bar that debuted as part of Windows 8. Cortana integration with Windows Threshold is looking like it could make it into the OS, as well. Sounds like you've never even used Windows 8 or 8.1 because both of those are a huge improvement on performance and RAM usage. Also the Windows Search of 8.1 is much faster than anything Windows 7 could do. The pity is that they removed as many benefits of Windows 7 as they added to Windows 8. This includes such glaring omissions as the Network Map, a real Start Button, and an integrated Control Panel. @Ken Everett: The Start Button was removed because it was designed for mobile devices and it was re-added in 8.1 along with a lot of the functions, the search was improved and the control panel is still usable as the Windows 7 one – unless you are talking about how the shut-down works, which is just as good as the first one and also they fixed the bug where the ”Waiting for” window would open regardless of whether a program was open or not. I don’t see much downsides other than the slight incompatibility with older programs like SimCity 3000. What are the chances that Win 9 will allow upgrade from Win XP? I don’t want to go through the hassle of attempting to re-install every program I have, all over again. I like the comment about buying a Mac instead of trying to learn a new Windows version. Now, that is cost-effective thinking. Why pay Microsoft $100-$200 every three or four years for a new operating system, when you can pay Apple $3,000 or more for a Mac and still have to learn how to use it. Sounds like you have a lot of money to throw away but don’t want Windows to get it. At some point, you get tired of MS just rearranging the puzzle pieces. I sure hope you are right about getting rid of the Charms bar, and bringing back the start menu. I now pay extra to have the menu bar for my laptop, but always have the charm bar which I hate. Yes, great on a tablet, but not a PC or laptop. I truly expected Microsoft to come out with updates that would make some of these optional, but they definitely did not listen to their customers. Hopefully they are finally listening. First thing is I am not closed mined. I was a Windows 8 Beta Tester and I have informed Microsoft of glitches in the system. Windows 8.1 fixed a few but not many visible problems. Windows 7 is still by far the best O.S. but that is only because they discontinued the previous Windows XP. Windows XP was a great O.S. Microsoft is never happy, remember Vista and what a failure that was? @JL Taylor: And I’m sure they will seeing as this is the first OS since XP that I’ve actually paid for. Why? Because I felt it was worth it. Everything up to 7 just kind of felt like the same old thing, but Windows 8 was really a breath of fresh air. If you don’t like the Start Screen, fine. They make Classic Shell for that, but I know plenty of people besides myself that have been overjoyed with Windows 8 (many of which are relatively computer illiterate). If you don’t like it, fine, but give it a fair chance before condemning it. A lot of closed minds here. Instead of bad mouthing Windows 8/8.1, actually try it. Sit down with it for a solid week or more and give it a chance. I felt the same way when I first tried the Windows 8 beta, but after some time…I love it. I'm at the point now that I have a hard time going back to a traditional Windows OS. When using 7 I find myself going to the bottom right-hand corner to shut down the PC or go to the Control Panel. I'll give Windows "Threshold" 9 a chance, but I'm more than likely not going to switch from 8.1 anytime soon. Already in the making for another version. It's all about money. Personally, I have no use for it and don't need it. Windows 8.1 already has touch screen capability and I don't need it for a cell phone. I use a cell phone for calling and receiving calls and don't need it for anything else. But that's just me. 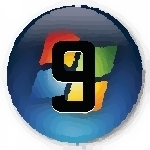 I suppose we will be forced soon to purchase the Windows 9 even though we don't need it. Not excited any more. As The saying goes. To late to shut the gate when the horse has bolted . I.e. mini start menu will be added. I've just got windows 8.1 a month ago, as hated it, but came with my new netbook with office home and student 2013. And it starts in desktop and I use classic shell for start menu and do happy. But 15 million downloads for classic shell. It was obvious people hated windows 8. I know I did and plenty others did two. I know there are those who like it. But even though my netbook is touch screen I just don't use tiles tadritional windows works for Me. All Microsoft has done, is open mine and others eyes up to differsnt OS.